If you’re looking for a golf course in Lakeland, Florida, look no further than Big Cypress Golf Club. Nestled within the 1,000-acre Cypress Lakes 55 and older community, Big Cypress welcomes golfers of all abilities. With a fully-stocked pro shop staffed by a PGA pro who offers group and individual lessons, you’re sure to find whatever you need to make your golf outing as enjoyable as possible. The South Course is a championship-level par 72, offering a more challenging environment for golfers looking to improve their skills. The North Course is a speedier par-60 executive course, offering time-sensitive golfers the opportunity to play a quick round. While the Big Cypress Golf Club is open to the public, the resident members of Cypress Lakes receive special priority with tee times and other perks. 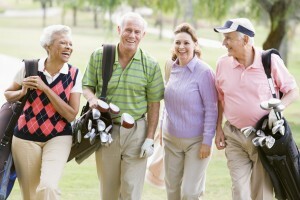 If you’re a golfer who is 55 or older, life at Cypress Lakes is your ideal retirement environment. We offer beautiful homes, easy access to our golf courses every day, and, when you’re not golfing, you can take advantage of our resort-style amenities like heated pools and spas, a fully outfitted fitness room, sports courts, and much more. Plus, our location enables our residents to take advantage of all that the region has to offer, including beaches, entertainment venues, and theme parks. In other words, each day offers many options for you to live your life to the fullest. To learn more about Big Cypress Golf Club, or to schedule a tour of Cypress Lakes and see all that we have to offer in Lakeland, FL, contact one of our Lifestyle Consultants today.